thirty years of discussion, criticism and further work in the field to develop and refine the original theory. relation between legal and moral obligation; and the practical and theoretical problems created by unjust laws. Track It. This book has been $26.76 within the past year. Log In to track John Finnis on eReaderIQ. 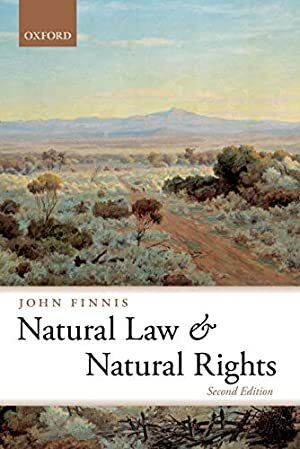 to be notified each time the price drops on any book by John Finnis. to stop tracking John Finnis. We started tracking this book on December 20, 2013. This book was $34.99 when we started tracking it. The price of this book has changed 196 times in the past 1,946 days. The current price of this book is $37.32 last checked one day ago. This lowest price this book has been offered at in the past 90 days is $36.10. This lowest price this book has been offered at in the past six months is $27.24. This lowest price this book has been offered at in the past year is $26.76. The lowest price to date was $26.76 last reached on October 13, 2018. This book has been $26.76 one time since we started tracking it. The highest price to date was $39.49 last reached on March 8, 2019. This book has been $39.49 17 times since we started tracking it. We last verified the price of this book about one day ago. At that time, the price was $37.32. This price is subject to change. The price displayed on the Amazon.com website at the time of purchase is the price you will pay for this book. Please confirm the price before making any purchases.